Blakemore Fine Foods' delivery service aims to increase efficiencies in distribution, both financially and environmentally, by reducing fuel costs and consolidating orders for producers and customers. Our storage and delivery service for chilled and ambient product lines is underpinned by A.F. Blakemore's professional logistics infrastructure. 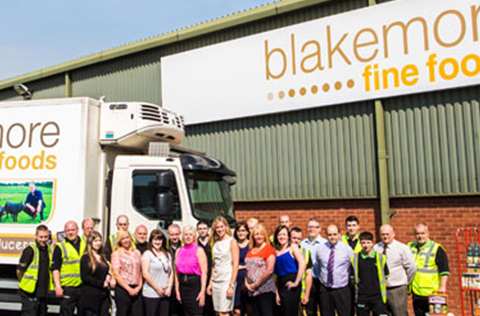 Click here for more details on Blakemore Logistics, which supports the warehousing and delivery operation of Blakemore Fine Foods. All of our multi-temperature delivery vehicles are managed using the most up-to-date tools in the industry. Route planning systems and driver tracking programmes ensure traceability and a reliable, efficient service. Our drivers are SAFED trained, and we use Blue Tree Management systems to monitor driver performance and fuel consumption. Our system works on a day one for day three delivery basis. Customers place their orders with Blakemore Fine Foods, who then contact producers. Producers then deliver their products into our warehouse. Orders are consolidated and delivered to customers on one of our vehicles. 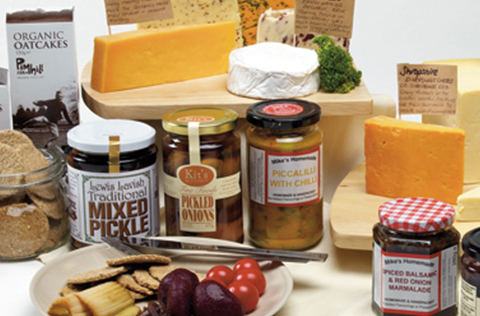 Fine Foods has a dedicated team of staff who take ownership of the payment of producers’ products and liaise with customers. Producers are paid 10 days from delivering products into our warehouse to ensure that their cash flows are kept fluid. With Blakemore Fine Foods’ easy service, producers can consolidate time spent on administrational tasks and focus on building relationships with customers, developing their brand and doing what they do best – producing the best quality products. Stage 1: Customers place their orders with Fine Foods. Stage 2: Fine Foods consolidates orders on behalf of customers. 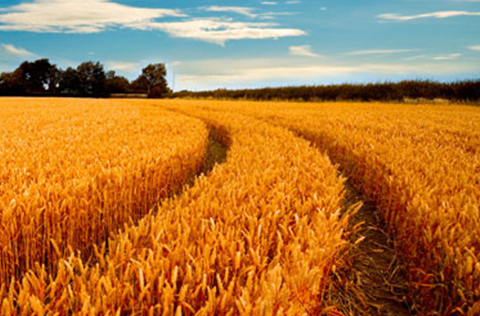 Stage 3: Fine Foods consolidates orders on behalf of producers. 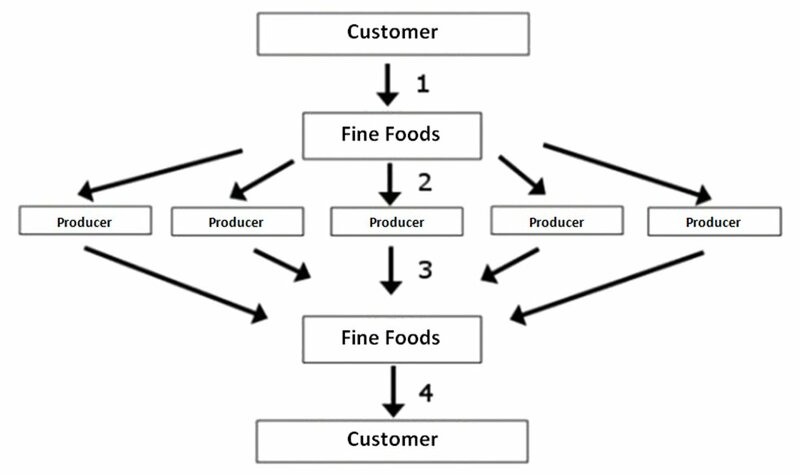 Stage 4: Fine Foods delivers consolidated orders to customers. Customers receive all of their orders combined.